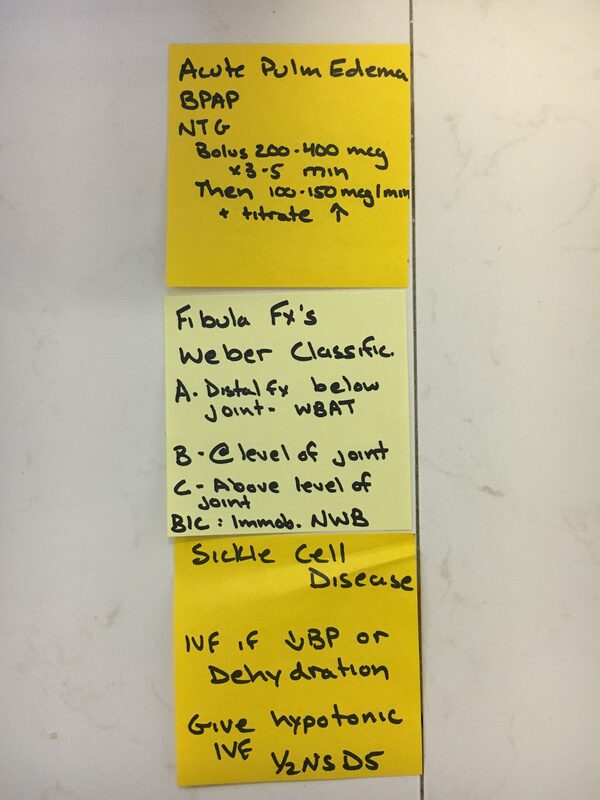 Over the weekend, I worked a string of nights and decided to try out the post-it pearls for myself. My residents loved it and it definitely sparked conversation which can be particularly difficult in the middle of a Sunday overnight shift. 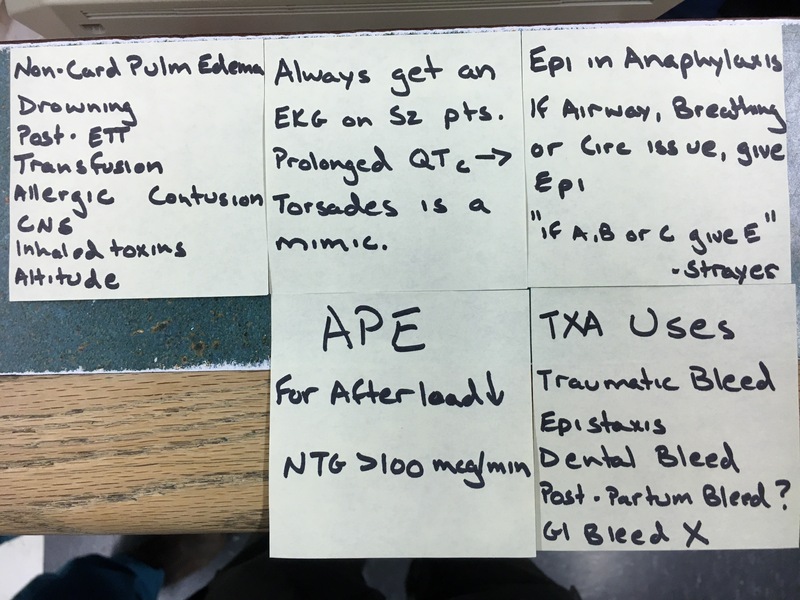 To enhance the educational value, I recommend having the residents take a picture of the post-its so they can review the teaching points later and send additional questions your way.